In case you have been out of the loop on the latest and most popular apps for smartphones, one of the hottest apps for tweens and teens is Snapchat. This is an app that allows users can send pictures and videos to other people that disappear within a span of 10 seconds. Theoretically, this sounds terrific. However, it is possible for other people to capture your Snapchat pictures permanently by simply taking a screenshot of your message. Anonymous Users - Users are allowed to remain anonymous under whatever screenname they choose to use. Adult Pictures - There are no restrictions on the types of pictures that may be sent over Snapchat. If fact, Snapchat is widely considered to be a "sexting" app that allows users to send naked pictures to other people. Ability To Save Pictures - Though children may believe that Snapchat pictures and videos will automatically be destroyed after 10 seconds, the reality is that users are able and some are willing to save images shown for much longer than that. Individuals can accomplish this by simply using the screenshot feature on smartphones. All of this may sound intimidating and scary. 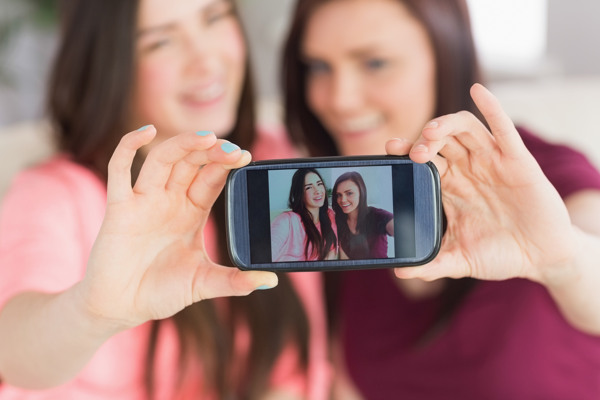 With these security concerns, many parents may decide that forbidding their teen or tween from using the Snapchat service is the best action to take. That is a perfectly fair position to take if you desire. It is simply not an appropriate application for kids of a certainy maturity level. Additionally, uKnowKids is the perfect solution for parents trying to stay engaged in their kids digital world. We have developed dozens of features to help make your life as a digital parent easier and to keep your children safe online and on the mobile phone. With respect to Snapchat, uKnowKids will tell you what mobile applications your child has on their phone. Children should be reminded to never accept a friend request or picture from someone that they do not personally know. If they receive inappropriate material from anyone at all, they should let an adult know about it immediately. Finally, kids should not send inappropriate or embarrassing pictures of themselves through the Snapchat app. There is a very high risk that these images can and will end up in the wrong hands. Does Bullying Impact Your Child's Developing Brain?